Fairfield Prep defender Kevin Brown will be one of several returning Jesuits from a team that went 21-3 and won the Division I title. 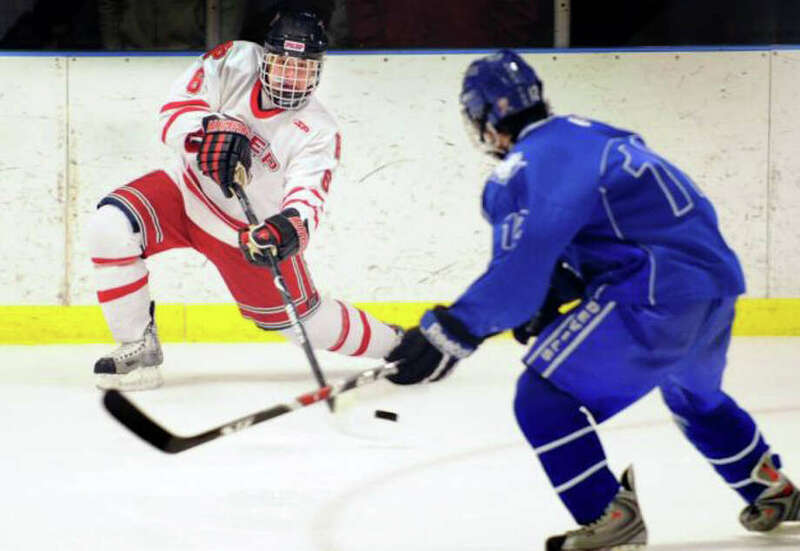 Despite winning its state record 14th Division 1 championship in 2010-11, the Fairfield Prep boys ice hockey team could be better in 2011-12. The Jesuits return 16 letterwinners, including their top-defender and an all-state forward from a club that finished 21-3, and dominated St. Joseph in the state final a year. "We expect to be deep and experienced," coach Matt Sather said. spearhead a talented scoring unit. Prep's all-state netminder John Galiani and his 1.14 goals-against average also graduated. But Sather will look to Matt Beck, Chris Gutierrez and Riley Wikman as Galiani's replacement. The Jesuits also return six defenders, including all-state captain Tom Worsfold. Kevin Brown, Matt Brophy and Sean Henry will defend the back line as well. "They're a fast and physical defensive unit," Sather said.